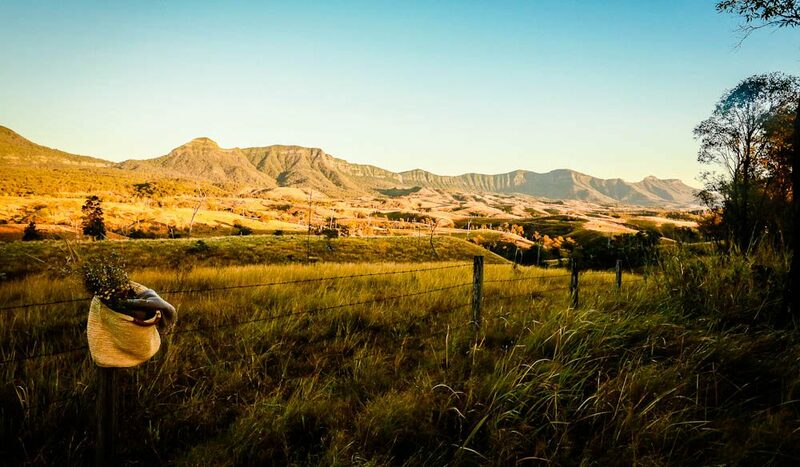 Scenic Rim: This mountain range was once part of the largest volcano in the Southern Hemisphere. In 1917, Prime Minister William Morris Hughes was addressing a crowd at the Warwick Railway Station in Queensland, where his train had broken down, when a man in the crowd threw an egg at him. It wasn’t a particularly large egg, mind you, but it did dislodge the Prime Minister’s hat. Later, he denounced Warwick to the nation as a place of dangerous and rioting outlaws; safe for no respectable, God-fearing man. This was unfortunate, as Warwick was a perfectly respectable place: Prime Minister Hughes was eggsaggerating. Since then Warwick and the surrounding areas have maintained a decidedly low profile, which is a shame, because the eggs here – along with the rest of the area’s produce – are as fresh as ever. But finally, word about the food here is beginning to spread. Just. A tiny roadside restaurant has begun winning big awards. A new gourmet brand is making national waves. Supermarkets are buying up local produce by the truckload. And best of all, despite being less than two hours inland from Brisbane, the entire area remains a place of honesty boxes, quiet roads, and blessedly limited phone reception. 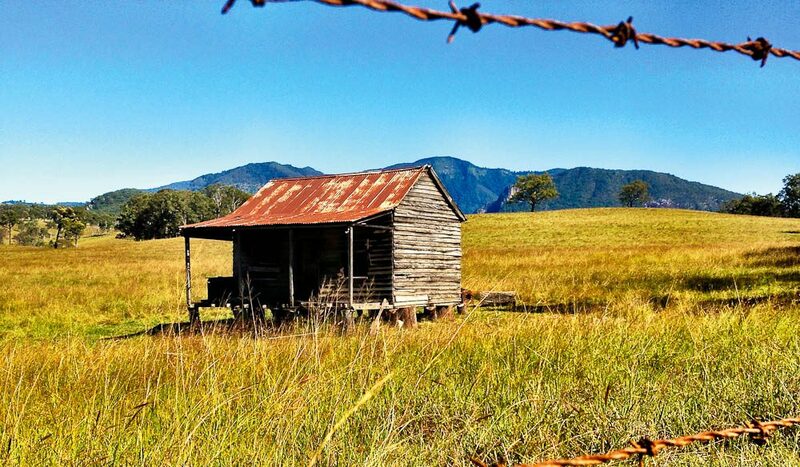 Indeed it wasn’t even until 2008 that this region was given a name: The Scenic Rim. (Prior to that it was simply known under the names of different shires.) It’s an apt moniker: the area was once the largest volcano in the Southern Hemisphere; today, the 25-million-year-old ‘rim’ encircles a bowlful of lush grasslands and rich volcanic soil. The area straddles the border between south-eastern Queensland and north-eastern New South Wales, encompasses at least 15 national parks and reserves, and is in parts, listed on the UNESCO World Heritage register. Louise is a fifth-generation resident from the area, who couldn’t resist the siren call of home while working as a high-flyer (global marketing forecast manager at Estée Lauder, thank you) in London. She returned to set up her business here taking people on 4WD tours and today, she has taken it upon herself to give me an education in eating, the Scenic way. I am wearing tight pants, which I am concerned about, but the tour starts sedately enough; we drive through the landscape and she points out various fields of pumpkins, sorghum, sunflower seeds; Sebago potatoes grown for Coles; and corn grown for Kellogg’s. The area has been used for agricultural purposes as long as settlers have been living here, she says, with migrating Scots, Germans, Irish and eventually gold-rush-seeking Chinese throwing their cooking influences into the pot along the way. ’Taters are still grown here today, but other things have long since passed them as the area’s standout attraction. 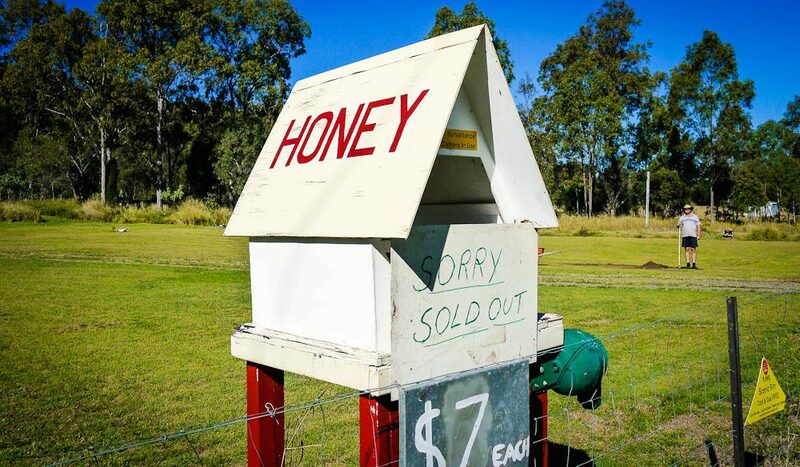 The Scenic Rim is a little like the Cate Blanchett of regions – blessed with an almost annoying range of talents. The people here are friendly as. The scenery is movie-star good looking. Not a single hotel chain has yet settled here. And the foodie delights – oh, the foodie delights – are as varied and wide as the 4000 square kilometres of the Rim itself. Hot tip – don’t bring your brand new Audi here. We’re driving up an unsealed section of the mountainside which, while not quite 4WD-territory, is country enough to have car enthusiasts wincing over each gravelly bump. (Note that the sealed road you normally take to get here is closed until late August due to floods.) Louise sighs crossly as we come to a temporary set of traffic lights in the middle of the bushland. “Goodness knows how long we’ll be stuck here,” she says impatiently. I resist the urge to say anything. Oh, the patience of country folk, hey? 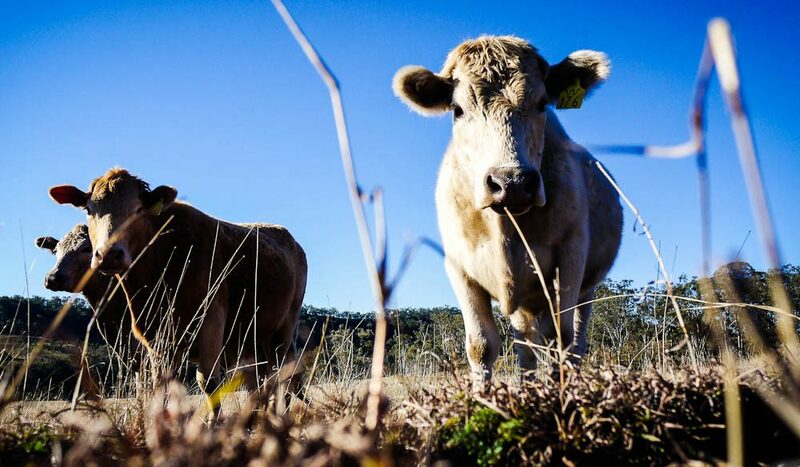 We’re on our way to Spring Creek Mountain Café, a tiny middle-of-nowhere eatery 40 minutes from Warwick, which has been the receiver of a prestigious hat in Queensland’s Good Food Guide awards for the past two years. Owner Bev Ruskey was inspired to build her humble restaurant after discovering that campers and picnickers were often making use of her land, a mountainside spot with stunning views over the area (“it didn’t bother me, I have 60 acres, but I thought, if people like the spot then maybe it’s worth doing something here.”) That was ten years ago. 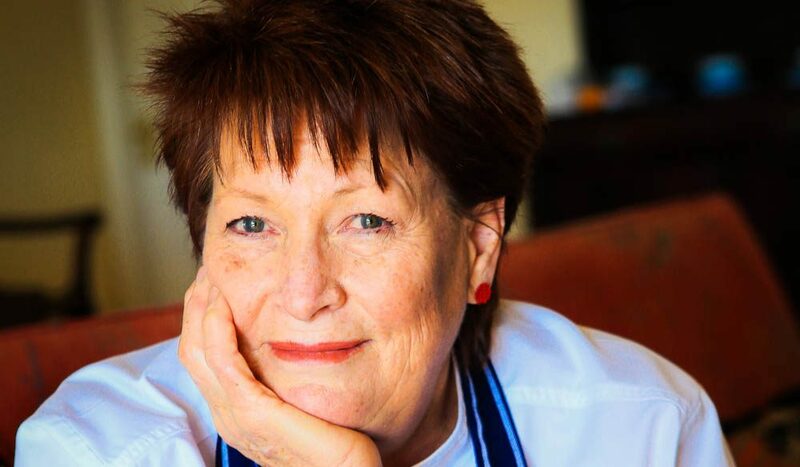 Call me clever, but I reckon Bev’s success has got something to do with her food. It’s humble, hearty and generously served: think thick butterbean and spiced tomato soup, or crusty beef and shiraz pie. Almost everything is made with local ingredients, including local meats, and it’s all so wholesome that one suspects each recipe has been pre-approved by the Country Women’s Association. Then there’s the view. 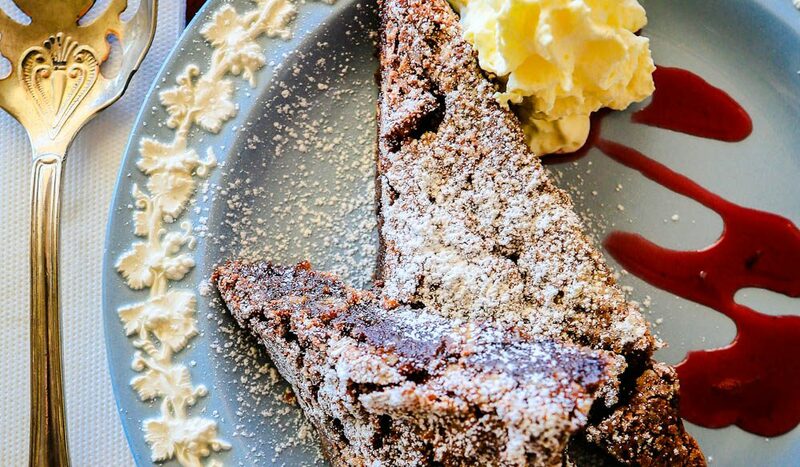 Spring Creek Mountain Café sits on the side of a mountain with a verandah looking out into a majestic blue-green valley, slicing between two equally picturesque mountain ranges. Not a bad spot for a cuppa. But damn, it’s cold up here. “We’re 1030 metres above sea level,” agrees Bev. “I don’t like the heat.” That’s a shame – I do. But then, after a ridiculously hearty meal, she hands me a plate laden with brownies, and despite the fact that I’m wearing a thick jumper in Queensland, all is forgiven. Hand on heart, crumbs on face, these are the best brownies the world has ever known. There is chewiness. There is airiness. There is warm, gooey softness, and gently yielding crunch. Heaven has been relocated to my tongue, and it’s throwing an all-guns-blazing housewarming party. Has the human race ever before known such utopian glory? It’s not until we’ve returned a good 500 metres closer to sea level, at the small country town of Killarney (population: 940), that I am sufficiently able to calm my sugar-beating heart. This is the area to do it: Killarney is only eight kilometres from the New South Wales border, and between Bev’s café and here, it’s waterfall country: where the water is fresh and bountiful enough to provide the locals with all their water requirements. It shows too; the hills are soft and lime-coloured. Curly faced cows lie in the shade. One particular valley is so well-fed that the magpies actually look fat. Still, it’s not all pretty scenery and chocolate slice, says Killarney local Peter Lindores. 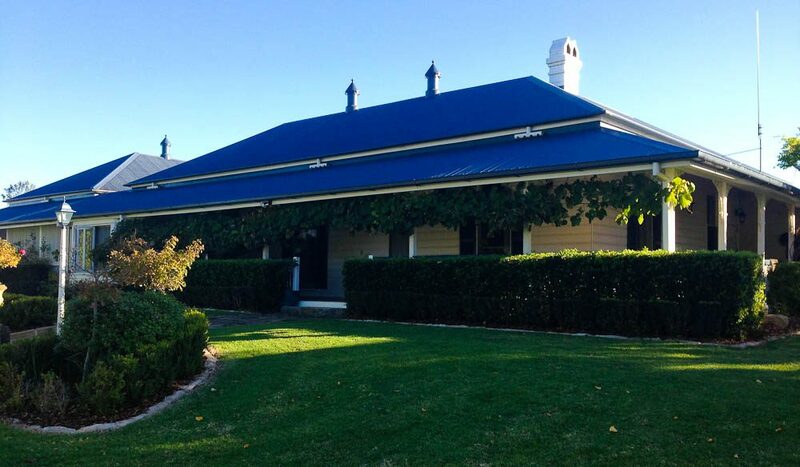 Peter, a true blue Aussie with ruddy cheeks and freshly ironed blue button down, has owned iconic Killarney property Melrose Station for several years, and in that time he has observed a fair amount of heartbreak in the local market. “Some of the stories will make you cry,” he says ruefully. “There was a bloke down the road who hand-picked 40 tonnes of pumpkins only to have the market decide they didn’t want them,” he continues. “So he put them in the dump. Two days later the market rang back and said they wanted them, but it was too late. Peter and I are eating lunch under a giant, 150-year-old pecan tree out the front of Melrose Station, a couple of kilometres outside of Killarney’s town centre. By ‘this sort of stuff’, he’s referring to our three-course bonanza, made entirely out of local ingredients, and the trend towards buying direct from local producers. Last year, Peter and his wife Colleen opened Melrose Station up for a lunch just like this, to showcase local ingredients. Tickets sold out without any need for advertising, “which just goes to show how passionate people around here are about their food,” he nods. The lunch is once again on this year, with plans to continue holding it as an annual event. If you’re reading this, Peter, I’d like to request an invite. Alright, so I lied when I said there were no hotel chains around here – there is one. But Spicers Peak Lodge is no McHotel. For starters, it takes 20 minutes of uphill, off-road bush-bashing just to check-in (the property is set atop a 1400-metre mountain, on private acreage, somewhere in the middle of nowhere) and the hotel itself – a 12-room, chalet-style luxury lodge – is absolutely tops. Pun intended. This is the flagship property of recently-launched hotel brand Spicers, started by the co-founder of travel mega-business Flight Centre, Graham ‘Scroo’ Turner. By the looks of things, it’s going to be bigger than the Macarena. The company’s focus is on two things: conservationism (Turner reportedly owns a third of all privately-owned conservation land in Queensland) and – surprise! – food. Good food. The kind that’s served with a side of serious credentials. 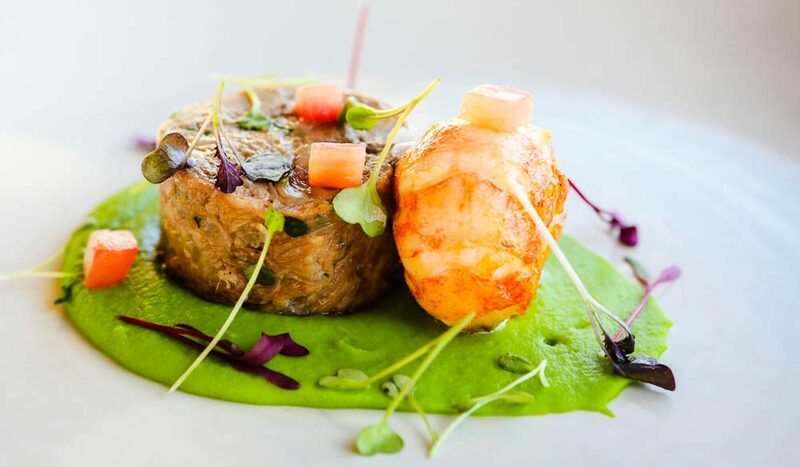 “The Spicers business model is that our restaurants need to be able to compete against award-winning, stand-alone restaurants, like Aria,” says Spicers group marketing manager Ebony Johnson. “So you could say they’re not your typical hotel bistros.” I’ll say – of the seven Spicers properties, three so far have been awarded at least one hat, including Peak Lodge. He takes me to a local lookout, which stretches out west as far as the eye can see, in a patchwork of dark green forestry and mountaintops. We stare at the setting sun for a moment. This view is exactly 1400 metres above the worry line. A most unusual way of doing things, I would think. Perhaps we can blame the area. The Rim certainly seems to have an effect on people. I reckon he’s right. This place is packed with groups of couples, families and friends, and when Bob disappears for a few minutes, I am quite happy to sit and admire the crowd… and the view. 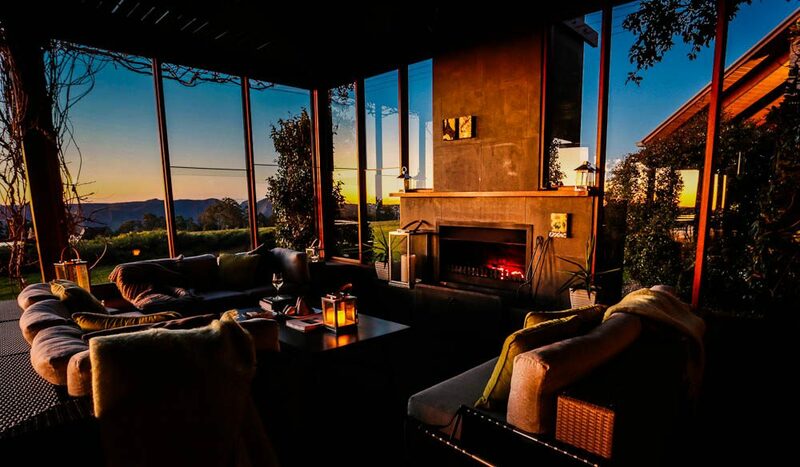 Kooroomba Vineyard and Lavender Farm is as pretty as it sounds, all French ornaments and leafy vines, with a full-frontal view of the Rim’s cliffs sparkling at us through the giant windows. Just a bit. Kooroomba Vineyard and Lavender Farm is now home to some 10,000 lavender plants, 16-and-a-half acres of vines and a multi-award winning cellar door made using stone, taken entirely off the property. 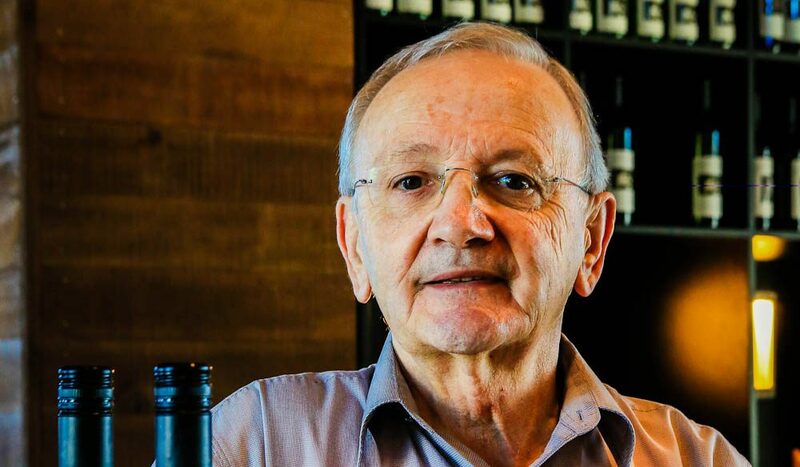 Their wines have won several awards – including gold at the Courier Mail Wine Awards. I drink a blend made from Portuguese Verdehlo grapes, and Italian Vermentino – a maverick wine, much like its creator – and kick back. On this sunny day, in this quaint little area, surrounded by stiff wooden fences and soft wobbly lambs, and countless shades of green, yellow and brown, it just seems the right thing to do. The Scenic Rim is a big place. We visited the heart of the Rim around the areas of Boonah, Killarney, Mt Alford, Fassifern and Aratula. Here’s a list of the places we’ve mentioned, plus a little bit of extra info… You’re welcome! Around here, it’s all about lovely little cottages and B&Bs. We didn’t get the chance to try any out (this time), but we certainly saw a few that looked like they were worth investigating. For a full list of options, head to boonahtourism.org.au, or consider Spring Creek Mountain Café. There is plenty to do around this area – just be warned, many places are closed on Sundays.